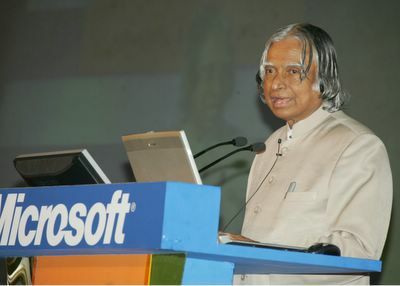 President Abdul Kalam's Address at the 'Microsoft Academic Summit 2005' is now avaliable on his website. Question by a student:How do we introduce and make IT education compulsory in secondary schools? President's Answer: It is not required. This entire week has been great for me. Lot of nostalgic thoughts..
First, I talked to Pavithra. She was my close friend during 11th and 12th. She was my coaching-class mate, from PSBB-KK Nagar. Two days back I somehow managed to get her phone number and gave a surprise call to her. It was a great feeling. Talking to a friend after 4 years. We plan to meet sometime this week. And Pavithra is going to become Dr. Pavithra. Next, I saw Veena, a very old friend of mine. School Friend. She had dropped-in home. This girl is amazing. She's very different. She is one great bubbly-kinda person. She is open to the core. An extrovert. Hyperactive girl.Moreover she is the favorite girl and best friend of my close friend - Girish. 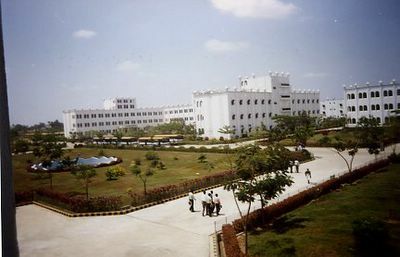 She is now doing her CS Engineering at Mysore. I was very happy to see her here because Girish is having a very bad time these days. He is one say-on-face guy. He din' like the girls in his college. He always asks me "Do we need girlfriends?" He was always worried because he did not have a single girl friend at college. Especially after being the Romeo of many-many girls at school. At school, at any instant, Girish was surrounded by a bunch of girls. Veena came in and spent two days with Girish. He took her for shopping, took her to ECR, and was there with her till the Mysore Express left.... I have never seen such a happy Girish. Thanks Veena. School Memories back... those sweet days..
Those were the days when we used to go to every chat shop and bakery in and around Ashok Nagar, KK Nagar, and West Mambalam. Those early morning Physics Class (Sundareshan's) were awesome. Believe me, the best figures/females of Chennai come here. PSBB girls and DAV (CBSE) Girls were awesome. 1. Everything went over the head. So I left it after 11th. Then it was the evening class. Maths class on Brindavan Street (Prof. Ramakrishnan). The class gets over by 7. I, Siddarth and Pavithra used to stand outside the class and talk till 9.. Siddarth and I explored every nuke and corner of Ashok Nagar, T-Nagar and Mambalam. 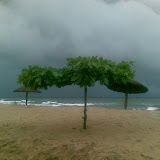 (Even I was new to Chennai during that time). On an average we used to cycle some 15 kilometres every day.Now I have lost contact with Siddarth. He is somewhere in UP. Bittu, contact me if you are reading this. Another famous hangout during school was the chat shop on Arya Gowda Road..Viji Chat.. is the same even now. The same taste. The same price. We used to bunk school very often. While in 11th standard, we had a project at KV OCF Avadi. We were doing a project using optical fibres. For that we bunked one whole month. Daily we used to go to the Physics department at IIT Madras. Great days..
Then the visits to the Neuro Scinces department of the Goverment Medical College opposite Central for doing a project on Psychic Energy..
School was fun. More than College..
End of College Days. Four Years is a big time in a man’s life. College days were the most relaxed period in my lifetime. These 4 years have been really crucial. They changed me a lot. I don’t wish to say that my college changed me or the life at college changed me. I want to think back and talk about the After-CollegeHours Life, which played a big role. In fact the credit goes to those Made-Easy books by Charulatha Publications. They gave me a lot of free time. Honestly, I owe Engineering degree to them. The power and reach of Charulatha Publications can be easily understood, by the fact that it has got a place, in 99% of Tamil Nadu college student's blogs. Oh God, what an amount of confidence that gives..
Rest is History... Go through the book for 2 hours.. I am sure, you can get 75% in Anna University exams.. I did this for 5 semesters and now I have a score of 77%. Maybe I would have got that magic number 80 if I had the power and patience to learn by rote. But I feel extremely happy and satisfied because I got this mark without cramming up a single question. More important is, I got this mark without wasting time in cramming up those huge textbooks. So, how did I spend the time? Before entering this college I did not know much about computers. I just knew some C++ (just those fibanocci and factorial kind of stuff and not OS implementation in C++) and some RDBMS stuff in school. I never tinkered around the computer. The 1st and 2nd year of college were the times of tinkering around my computer. It was during these days I got to know what a hard-disk is, what a boot sector is, what a partition table is, what is ext2 filesystem, what is i-Node, what is L-2 cache, or how to resolve dependencies in LINUX. Thanks to Bala and Karthi for those independent discussions while the boring lectures were on. I learnt a lot from them. 3rd Year was highly academic. I developed a strange interest towards core computer science. (Though, Now, after reading Paul Graham's essays, I dont like to use the term Computer Science). Then came the Final year- the best of all. I became a great Microsoft Fan (and an evangelist). I became a Microsoft Student Partner. I got this interest towards blogs. I started reading a lot of blogs- blogs.msdn.com being my favorite. I started my own technical blog. Off this tech-stuff, I started reading a lot of books. I started reading a lot of non-technical blogs also. I watched some good movies. I met some really great people. I read about some great people. I enjoyed every evening in these 4 years. It changed me a lot. One thing I learnt is that, whatever be the information you get, grasp it. Dont think of the possible uses of it, or how it will benefit you. Dont think whether you are connected to it. JUST ACCEPT IT. The best part of College life were the crucial evening meetings. It always used to be Girish, Bala or Arvind with me. And then, the frequent bike ride's on East Coast Road with Girish. Those waits in that Tea Shop in front of Maayajal. Aaah .. Awesome!!! Got a 30 Rupee neckless T-Shirt from Ranganathan Street. Today I recieved my Sify A3 India Game Closed Beta Kit. Thanks Kiruba for telling about that. A3 stands for Art, Alive and Attraction. A3 is a Massively Multiplayer Online Role Playing Game made by Sify. Iam yet to install and play the game as I need to make some upgradations to my machine to intsall A3. The kit had an A3 India T-Shirt, A-3 India Game CD, A3 India Cap, and some posters, postcards, A3 notepad, A3 Calender etc.. It also had a 20 hour Sify Gold DialUp starter kit. Sify taking a new path..